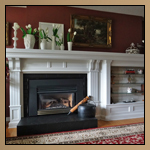 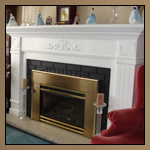 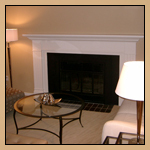 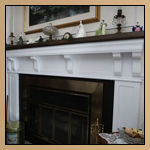 Custom Wood Fireplace Mantels – Solid Wood Mantel The lower half of this two-pieced fireplace with media center cabinet, is almost entirely solid maple and adorned with numerous custom moulding and millwork pieces. 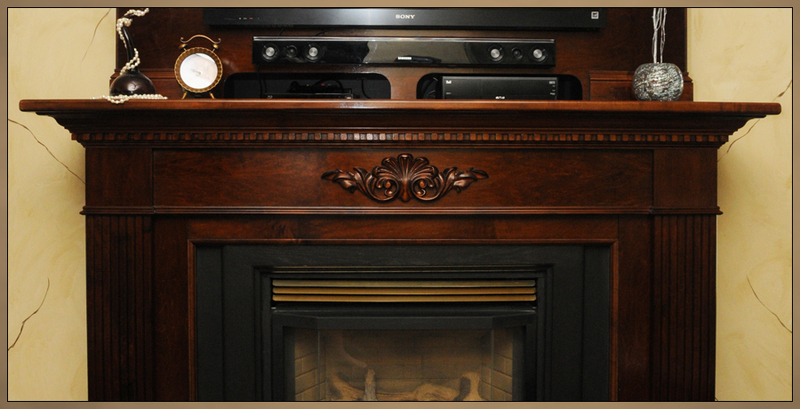 The entire fireplace cabinet is finished to a high end furniture grade. 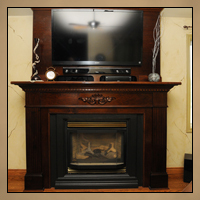 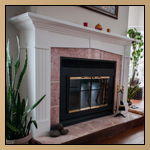 The mantel surround also contains hidden built-in adjustable storage, accessible from the sides. 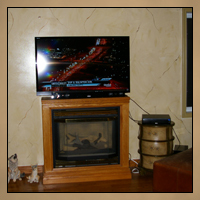 The upper cabinet holds a 60” TV, speaker bar and two media components.